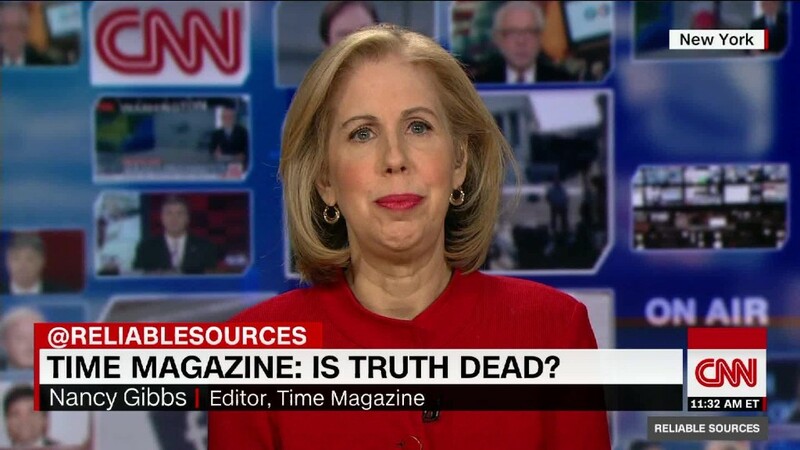 Time magazine asks: "Is truth dead?" Two days after losing an icon of its newsroom, Time magazine has named a new top editor. Edward Felsenthal will become Time's 18th editor in chief, the magazine announced on Thursday, filling the void left by one of its most prolific journalists, Nancy Gibbs. "I am absolutely honored to lead this institution," Felsenthal said in a phone interview. Felsenthal previously served as Time's digital editor. In that role, Felsenthal worked with Gibbs "to more than double TIME's digital audience, increase TIME's video views tenfold and pioneer the establishment of an integrated 24/7 news operation," Time Inc. executives Rich Battista and Alan Murray said in a memo on Thursday. "In short, Edward possesses the perfect blend of skills, experience and ingenuity to take TIME to the next level," they said. Felsenthal told CNNMoney that Time's digital operations have blossomed over the last several years, citing significant audience growth and a proliferation of content on multiple platforms. It wasn't long ago, he said, when Time was "essentially a weekly magazine with a relatively small site." And yet, even in an era when news is increasingly consumed on computers or mobile devices, Time's weekly cover still commands influence, routinely getting attention on social media and cable television. "The cover of Time magazine is incredibly valuable real estate," Felsenthal said. "The power of that cover to drive the conversation and to drive our coverage across all platforms is really valuable." Felsenthal takes over at a moment when Time Inc., like much of the magazine industry, is facing stiff economic headwinds due in part to ongoing plunge of print advertising. In June, the company, which owns Time, Fortune, People and Sports Illustrated, cut 300 jobs worldwide. Felsenthal will also be succeeding a legend at the magazine. Gibbs worked at Time for more than 32 years, beginning as a fact-checker and ultimately becoming the first woman to serve as top editor at the magazine in 2013. She interviewed five U.S. presidents and authored dozens of cover stories at Time. Gibbs' announcement this week came on the heels of other major resignations in the magazine industry. Longtime Vanity Fair editor Graydon Carter said last week that he will step down in December. And on Monday, Robbie Myers said she was ending her run as editor in chief of Elle magazine. The exodus continued on Thursday with news that Glamour Editor-In-Chief Cindi Leive was likewise stepping down.